We buy everything Sterling Silver! Art House Gallery has professional experts with over 40 years’ experience buying Sterling Silver. 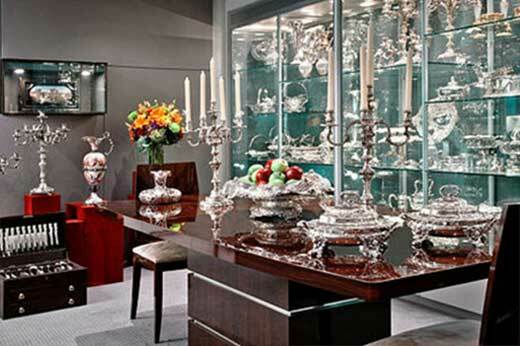 We specialize in Antique Sterling Silver consisting of Silver Tea Sets, Flatware Serving Pieces, Sterling Silver Decanters and “one of a kind” collections of Sterling Silver, Antique Silver Jewelry, Russian Silver, Chinese Silver, Tiffany’s, Sterling Silver Trophies and more. We also buy silver coins and scrap at market value. Art house Gallery is available to arrange an appointment in our office or at your home, office or your bank. Please us our contact form so that we can assist you.